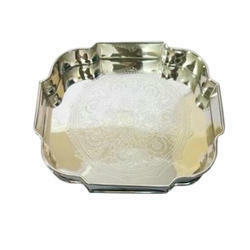 Being a leading enterprise of this industry, we are offering a huge range of Nickel Plated Brass Tray. 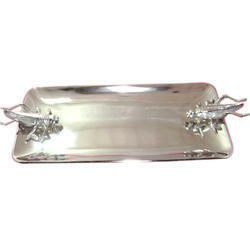 Being a leading firm in this industry, we are deeply engaged in offering a high-quality range of Nickel Plated Tray. - Size: L-15.5", W-7.5", H-3"
This is made of Brass with nickel plating and enamel, it is used for serving food related products and is completely food safe, it can also be used as a decorative and is a very useful product.